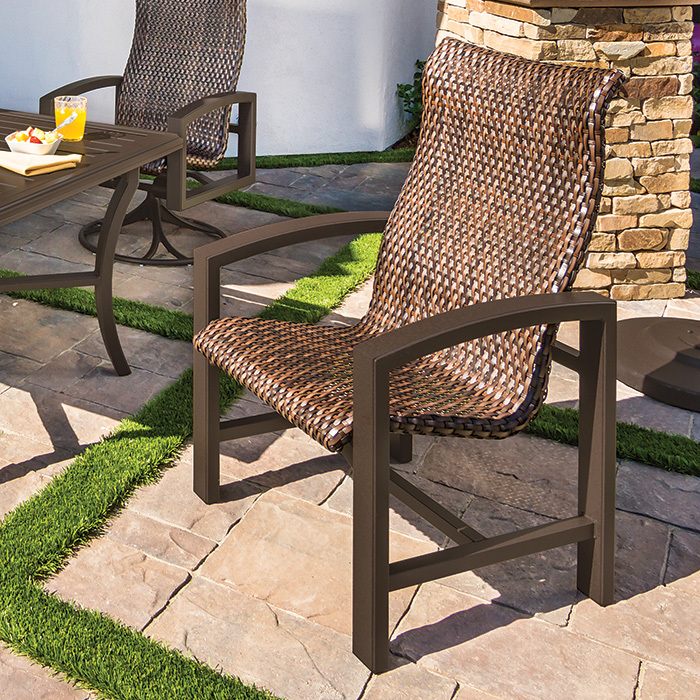 With a modern, yet rugged, appearance that complements the beauty of nature, the Tropitone® Lakeside Woven Collection of cushioned outdoor furniture is the epitome of dependable comfort. Lakeside Woven Seating features the TropiKane® Bison Weave and lightweight, durable aluminum frames. The collection includes a woven outdoor dining chair, swivel rocker, action loungers, ottoman, bar stool, and chaise lounge.